Mr Chinedu Ukekwe, Head of Information and Protocol of the Nigerian Law School, said 1,272 candidates failed out of a total of 5, 891 that participated in the examinations. He said 2, 999 got a Pass, while 334 came out with conditional Pass. 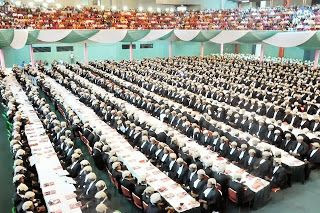 In all, 4, 285 candidates were successful and will be called to the Nigerian Bar. A further breakdown of the results showed 72.7 per cent passed, while those with conditional Pass represented 5. 7 per cent.